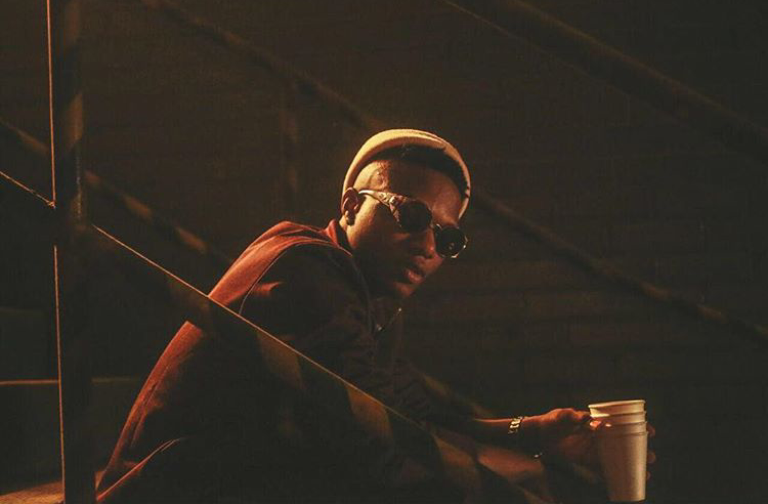 Wizkid Cancels All Concerts From December to January- Health issues. 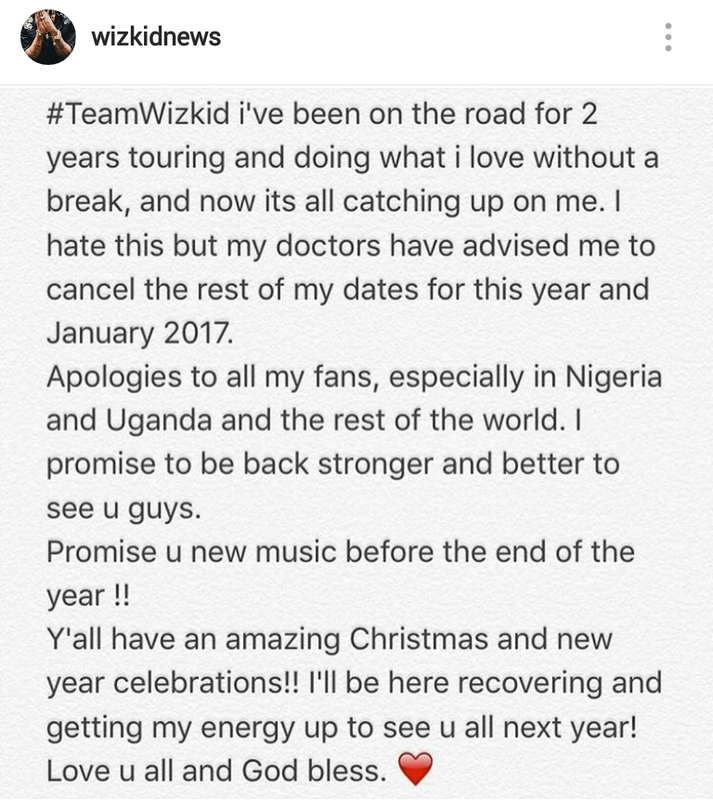 Wizkid just cancelled all shows and concerts scheduled for December and January as advised by his doctors. The singer made the announcement on his instagram page yesterday. He said his continuous 2-year tour has taken a toll on his health. Hence he has been advised by his doctors to take a break and relax. The star boy has promised his fans new music before the end of the year and sent glad tidings of the Xmas and new year to his fans.